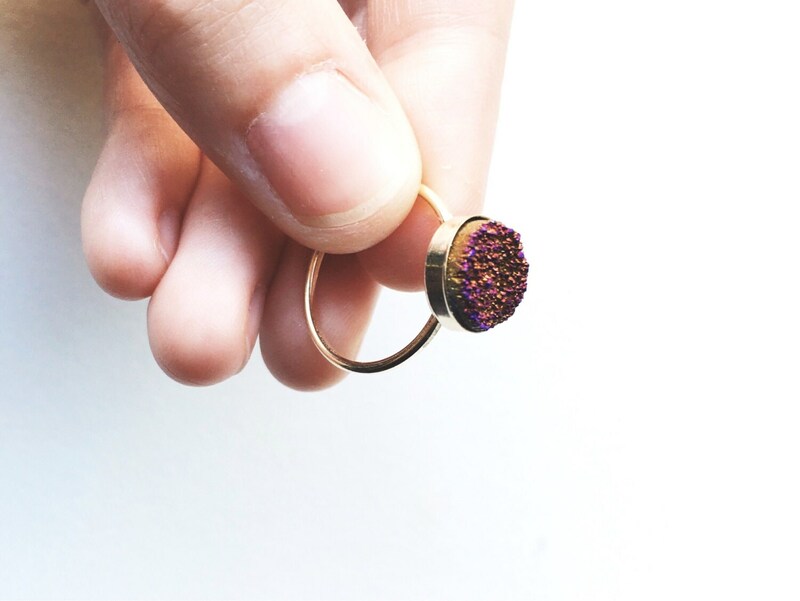 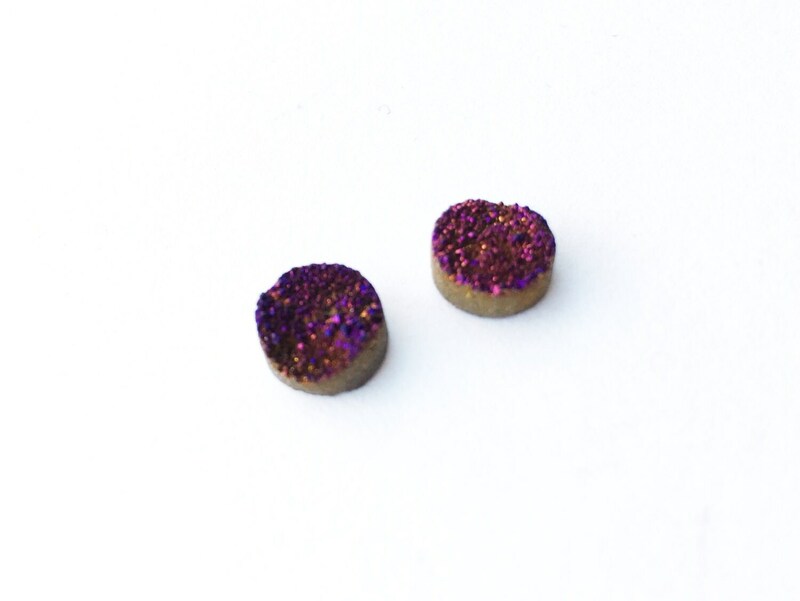 A purple and gold quartz druzy stone rests on top of a delicate 14k gold-filled ring. 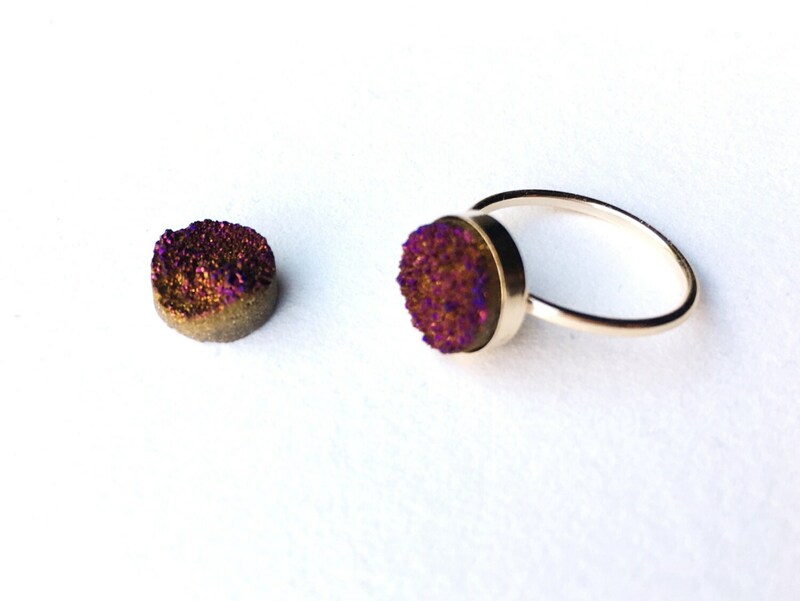 Each druzy stone is slightly different, message me if you'd like to pick your own for your ring! 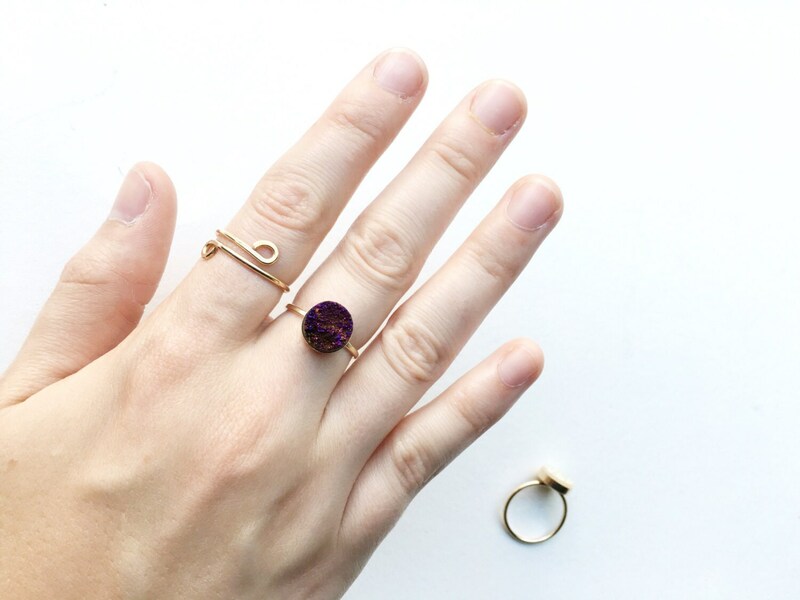 All rings available are a size 7. 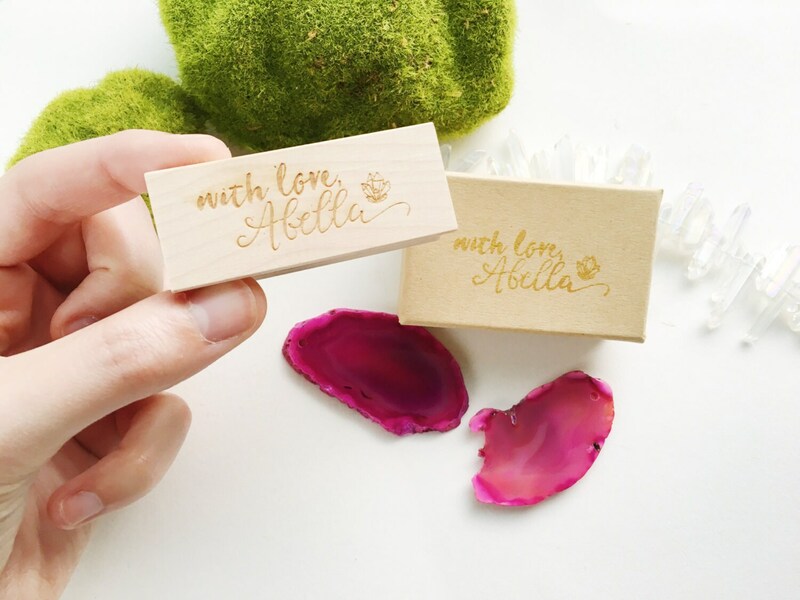 Each ring is gift wrapped in a hand-stamped box and tied with a pink ribbon, perfect for gifting!